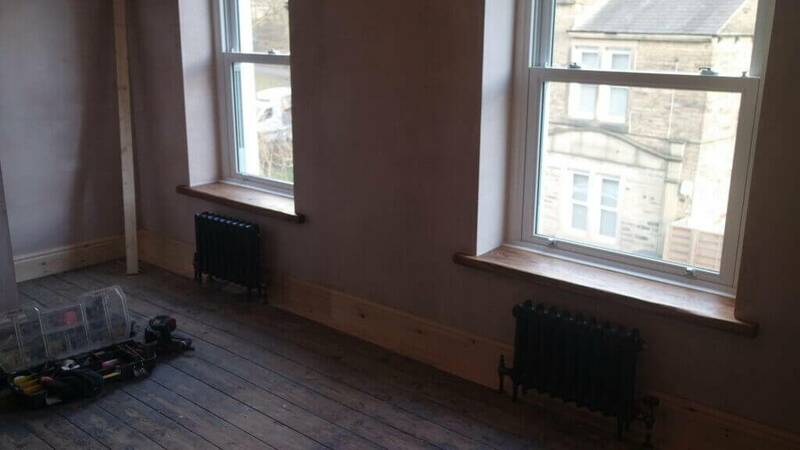 Thoroughly enjoyed working on this project from start to finish and can’t wait to see it decorated. Working to keep the characteristics of the property this room had a full rework. 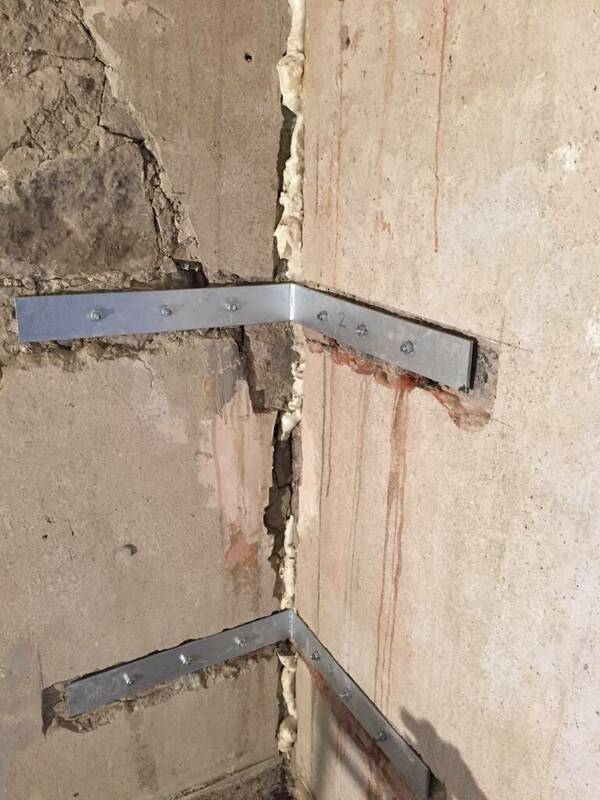 After a structural survey due to the front exterior wall slightly moving, plans were drawn up by a local company for structural strapping the corners. 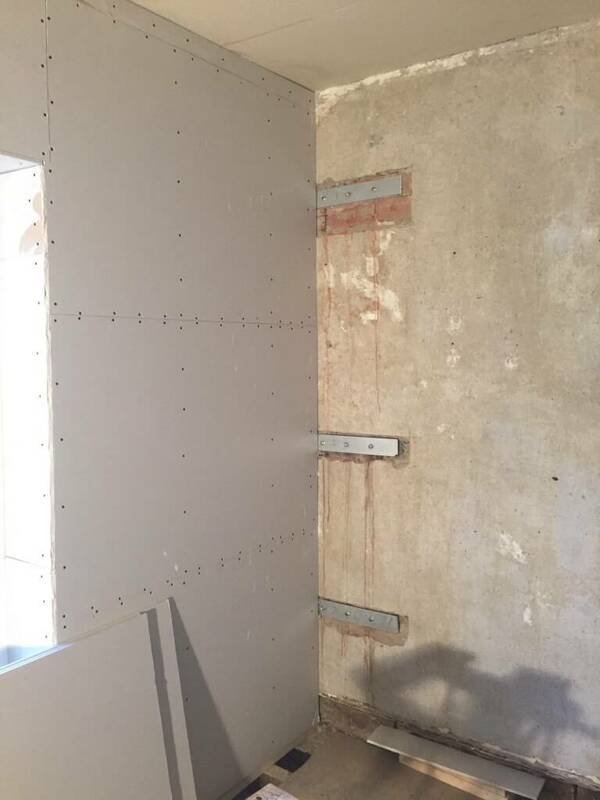 Working from the plans the interior and exterior wall are tied back together using corner metal brackets made to spec. 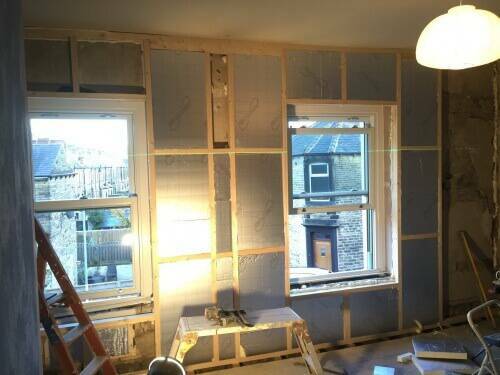 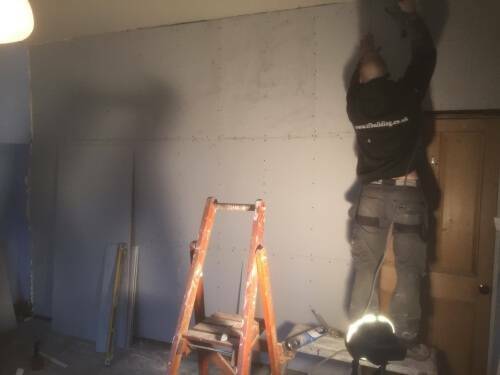 The exterior wall was then partitioned and insulted with 50mm insulation and 12.5 mm plaster board fit. 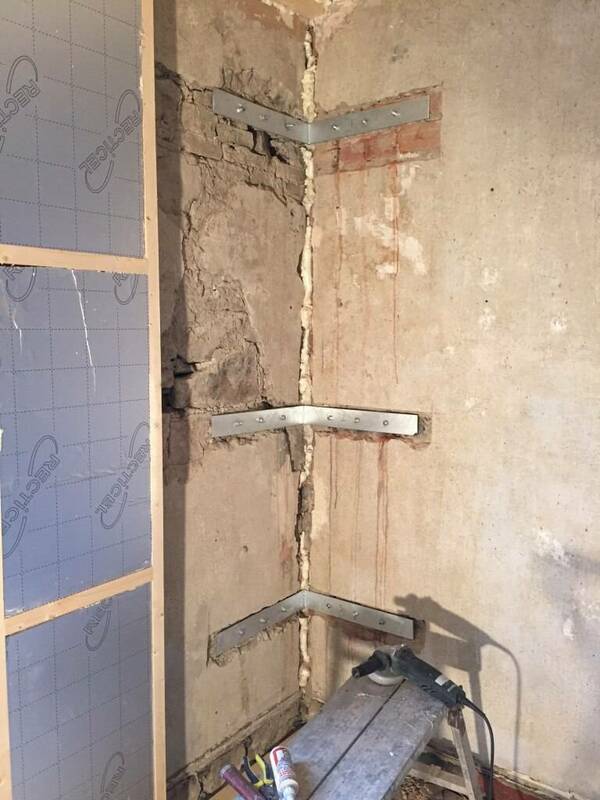 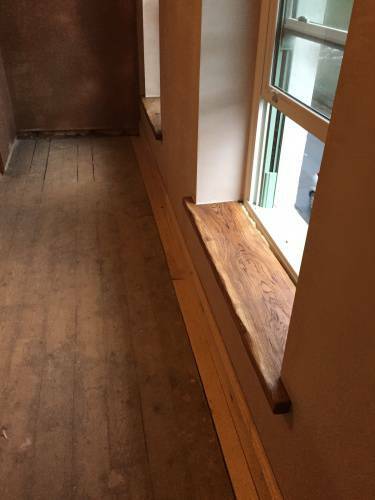 Th existing lath and plaster walls were removed and plaster board fit due to deterioration. 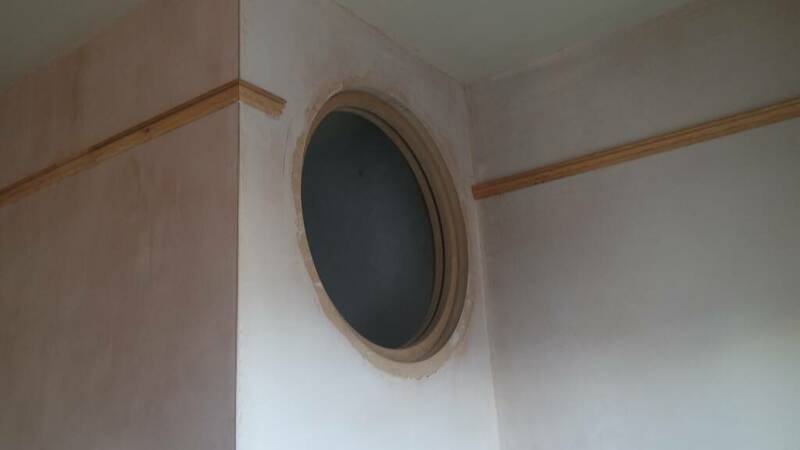 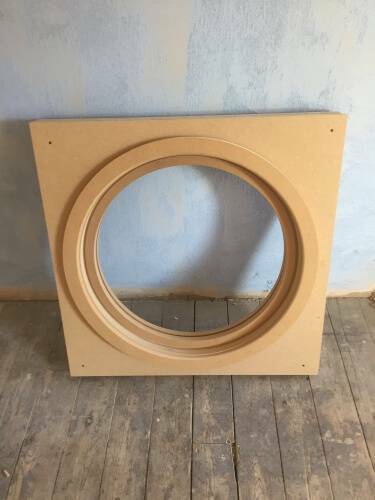 A round window frame was commissioned and fit over the stair well for the arrival of a stained glass window salvaged from a church in London. the stair well wall was rebuilt and insulted for soundproofing. 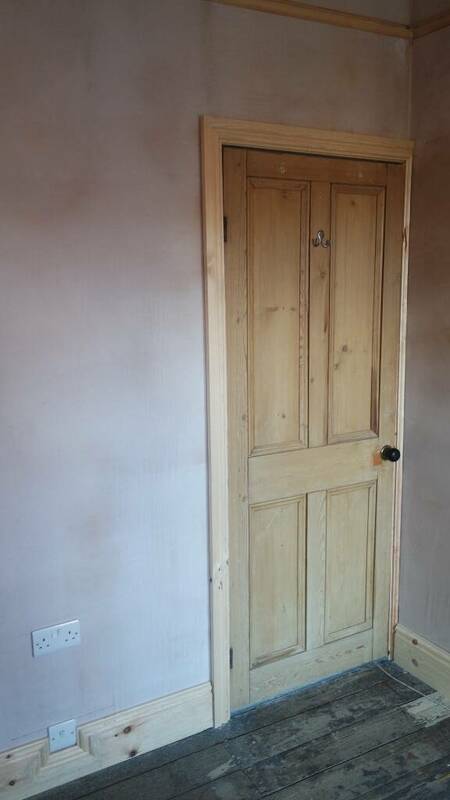 the room was plastered out and as always polished up ready for decorating. 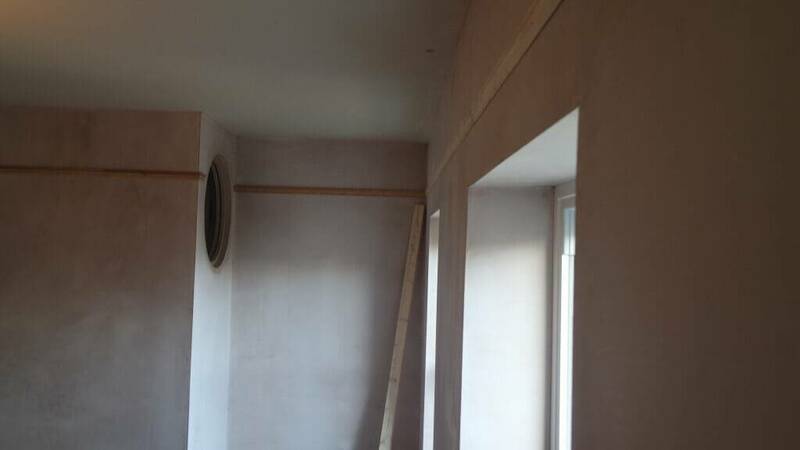 The plaster was allowed to dry ready for second fix joinery. 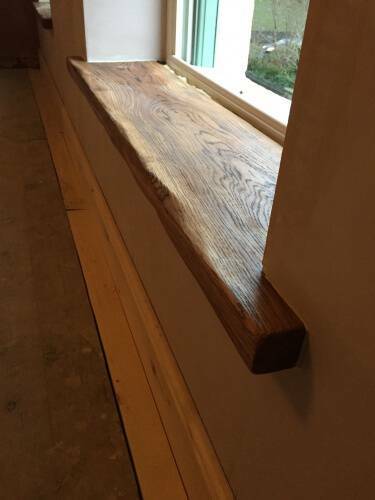 New skirting boards were fit using 7 inch torus and the picture rail fit back at the same hight. 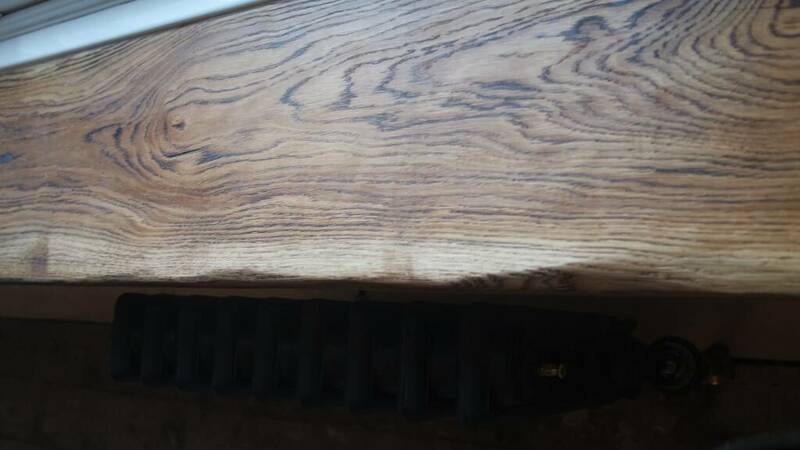 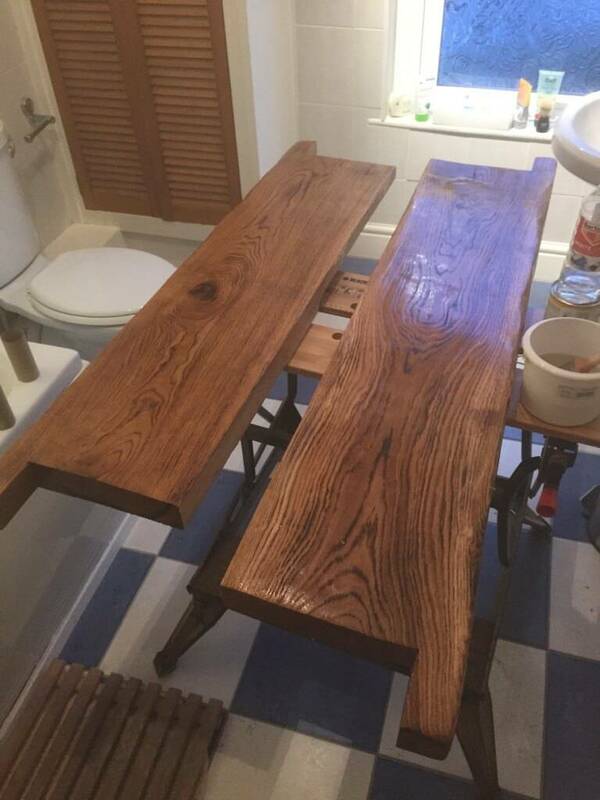 Some beautiful cuts of seasoned oak was fit, burning them ever so slightly to bring out the grain and oiling. 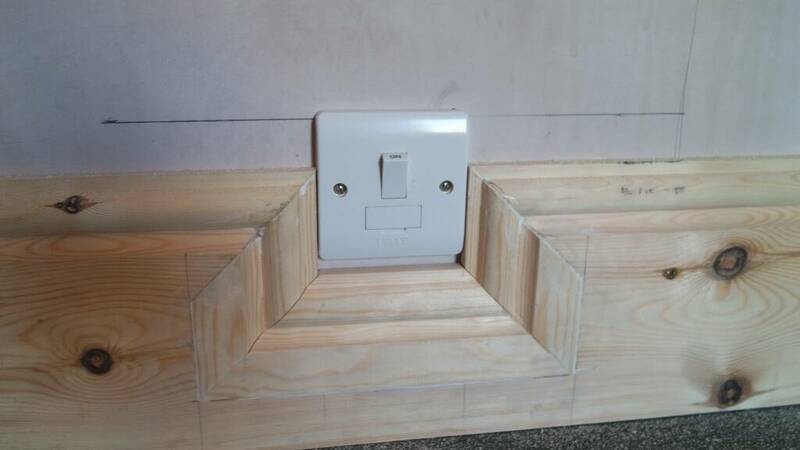 Very happy with the outcome. 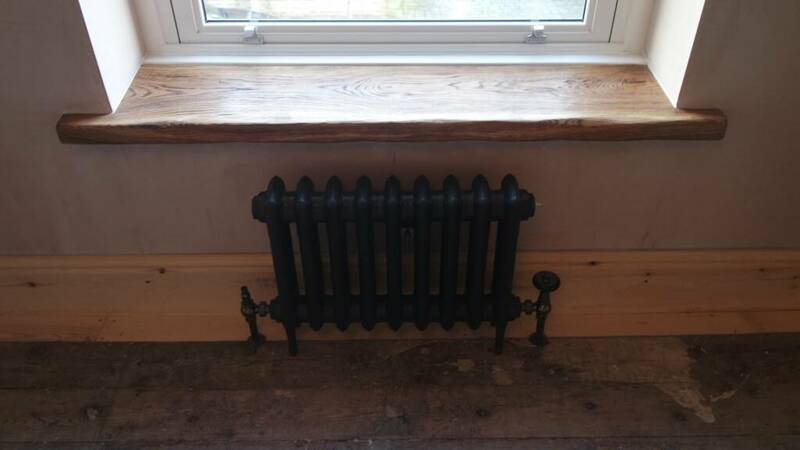 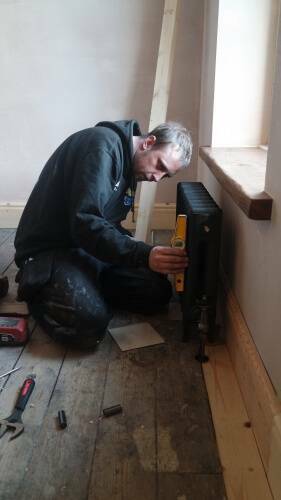 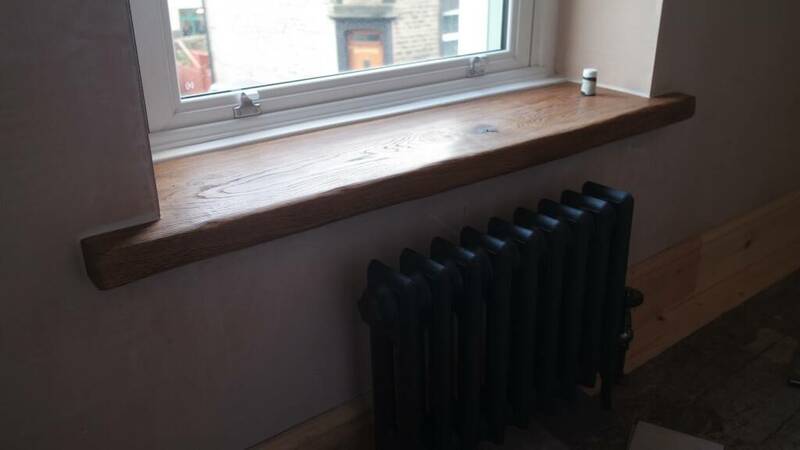 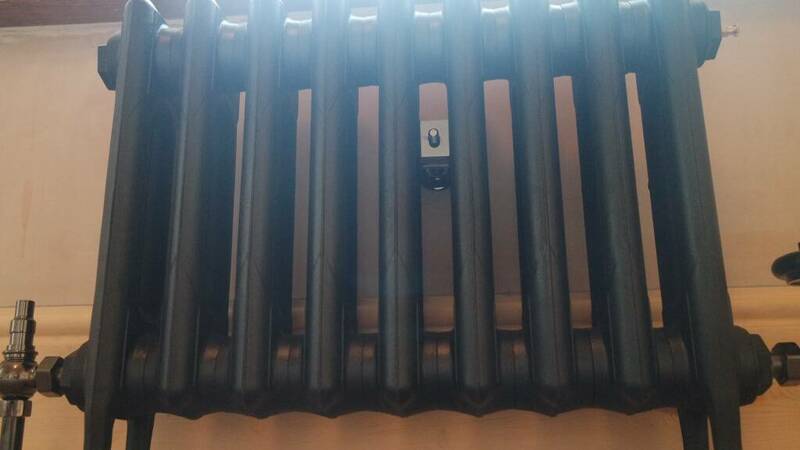 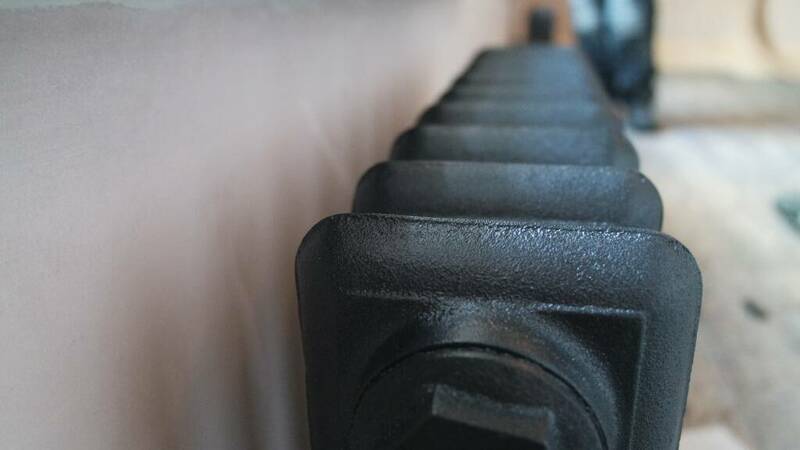 Small car radiators were fit central to the windows by our plumber Kris and again making a fantastic feature to the room. 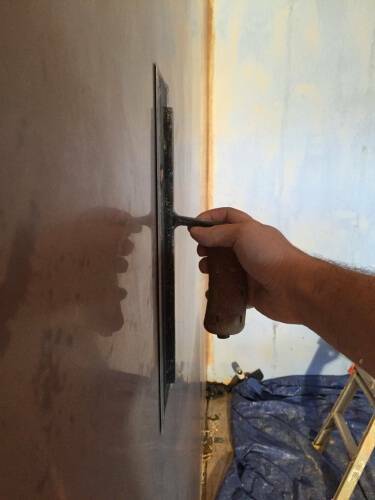 If you would like a estimate for any property renovation work including plastering, joinery or general building then head over to our contact page and drop us a email.